Here is a really neat skin care discovery that I want to share with you…..Feed My Skin. What makes Feed My Skin so unique? All of the products are made using high quality fresh ingredients that are FROZEN to increase the natural integrity of the product. When my products arrived, I just popped it into the freezer and used what I needed so I didn’t have to worry about it going bad. 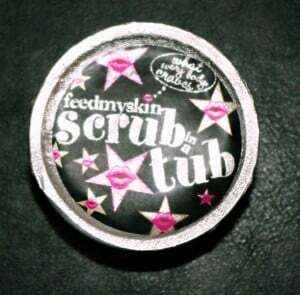 Feed My Skin uses at least 95% organic ingredients made from fruits, nuts and natural butters. There are absolutely no parabens, sulfates, phalates or mineral oils to worry about potentially harming your skin. The Pumpkin Mask felt great too when my skin had that winter dry and dull appearance because the enzymes really seemed to make my skin glow and felt fantastic by removing all the dead skin cells. Did I mention that it smelled like a pumpkin pie too? Ahh…..relaxation! If you want to feel confident that your skin care products have not been sitting on a shelf in a warehouse for a lonnnnnngggg time then you should consider trying Feed My Skin. Your skin will thank you for it! 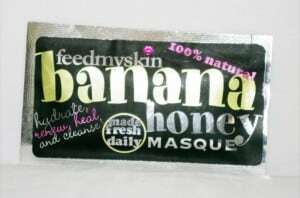 You are invited to visit Feed My Skin to purchase any of the products mentioned in this review or to learn more about the concept behind Feed My Skin.